Milano, 12 November 2018. Thanks to the partnership with T&TI, the express courier will add another 10 eco-friendly articulated lorries to the 18 it already has, thereby reaching about 3 million green shipments in a year. 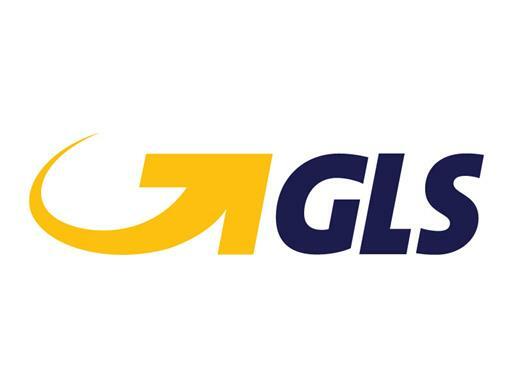 As one of the leading express courier companies in Italy, GLS has decided to upgrade its fleet of LNG-powered vehicles in order to cover long distances with an approach that is increasingly focused on environmental sustainability. Thanks to the partnership with T&TI Cargo Line Srl, GLS will add an additional 10 eco-friendly articulated lorries to the 18 it already has, with the aim of reaching 3 million ecological shipments during the year. The 20 LNG refilling stations throughout the country, which will increase to reach 30 over the course of the next year, will allow the new Iveco Stralis NPs supplied by T&TI to cover the routes of the entire country. With the introduction of LNG vehicles, GLS will successfully manage to cut annual CO2 emissions by 15% measured in the GLS Fleet. In fact, considering that a company vehicle travels about 500 km a day, there will be an annual reduction in CO2 emissions of about 24 tons per vehicle, which when multiplied by 28 vehicles leads to a reduction of 670 tons of emissions per year. GLS places this project within a broader horizon whose focus is eco-sustainability. The Italian logistics sector presents numerous challenges in this regard, which is why the company has strongly invested in projects to help increase the eco-sustainability of its business. "The Express Courier sector in Italy presents several challenges from an eco-sustainability point of view. We are highly determined to distinguish ourselves from all the other players on the market by challenging ourselves to take an approach which is increasingly based on environmental sustainability", confirmed Francesco Pellerano, General Manager of GLS Italy S.p.A. He added, "We consider ourselves a company with a strong green vocation, which is why we have heavily invested in projects which serve to increase the eco-sustainability of a business like ours. The use of green vehicles for deliveries in large cities and the incentives for renovating our structures within a green perspective are both practical examples. We want to profoundly change the modus operandi of the sector, as it must also contribute to the creation of a better future for the planet". Emilio Mondelli, President of T&TI Cargo Line Srl, said, "We are proud of the solid partnership with GLS. We have invested 1.5 million euros in the project so far, but see it as merely the first step of an initiative that will develop and grow year after year, with the aim of bringing a profound revolution within our industry". Group Area Managing Director Klaus Schädle added, "This project is further proof of the fact that we have always been at the forefront of environmental protection. In 2008 we launched the Think Green project at an international level, which became the framework and inspiration for actively coordinating and promoting the many eco-activities within our entire group".